For most of us an extra £4000 could go a very long way! Could buy a new car, that dream holiday or even pay off a pricey Christmas! So when you read this, you’ll be gutted to know you missed out on what was possibly the easiest way ever to be £4000 richer without any catches at all, in fact there is one lucky Londoner that has a bank account that has had the big sum of £4000 added to it! But how did they manage it? A London originated band who name themselves Moones came up with this fun and eye catching way to promote their debut music album called Modern Music Moguls. They sought out a means to catch everyone’s attention with a prize that you could guarantee that everyone would want to win, which is of course a huge juicy prize fund of £4000! As the Moones are a new band trying to make a name for themselves in the big city of London, you can imagine funds are fairly low which produces the question, how on earth can they afford to just give away so much money! Well it gets better, this super fun band used the money that they had initially budgeted to pay for the costs, filming and production of their first music video. So inevitably they chose publicity over music videos, and why not?! This seems a far more modern approach to getting your name out there as music videos are increasingly becoming less viewed and dull! So how could you of got your hands on this huge prize fund? Do an amazing trick? Become the bands number one fan? In fact it was none of these, but the real challenge was to locate a brick wall within central London… yes, you read it right, a brick wall!! 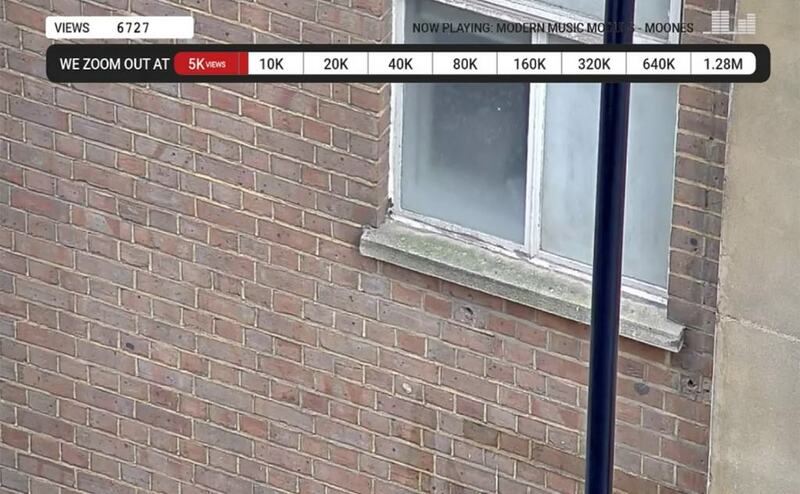 The band even created a live stream so that people could use Sherlock like deductions to figure out where this brick wall was actually located! With a certain increase in YouTube views, more and more of the wall was revealed as the publicity for the band grew… a win win all round really. So what happens when it is found? It just gets better! The band left a piece of chewing gum and behind it lay a code to be tweeted to the bands twitter account @moones in order to claim the all important cash prize! Next articleThis Man Gets Stuck In His 100k BMW – How Did He Come Out of It?